The Barrie Inn Located in Woodmere Long Island offers some of the industries best pet products like Life’s Abundance Dog Food and Mauro dog care products so your dog remains healthy, happy and living longer. Mauro Pet Care is one of the most sought-after dog hair care brands in the industry today boasting a holistic line of all naturally sourced treatments. This luxurious innovative line of all natural grooming products was designed to condition and restore your dogs healthy coat. The Barrie Inn uses Mauro Pet Care line exclusively when grooming your pets. Health is more than just eating right and exercising – it’s about cultivating the right attitude and making a commitment to feel better … to be better. Life’s Abundance really understand commitment. They’ve pledged to provide the best possible products for their customers– to help them live longer, healthier and happier lives. 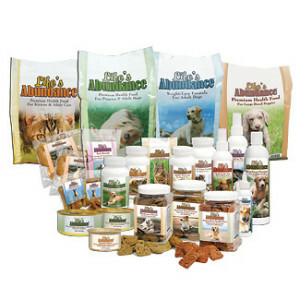 Life’s Abundance provides an array of superior quality, safe and effective products that are inspired by nature, informed by science and born of a commitment to improving the health of people, pets and the planet. Come in and sample Life’s Abundance … paving new roads to wellness, every day.